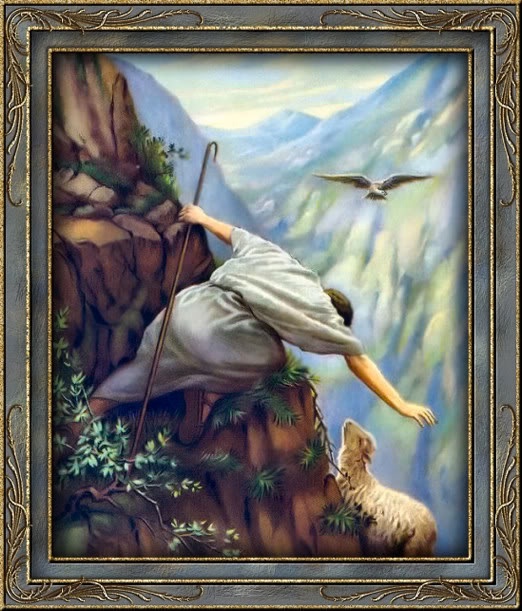 Behold, I, even I, will both search my sheep, and seek them out. 11For thus saith the Lord GOD; Behold, I, even I, will both search my sheep, and seek them out. 12As a shepherd seeketh out his flock in the day that he is among his sheep that are scattered; so will I seek out my sheep, and will deliver them out of all places where they have been scattered in the cloudy and dark day. 14And the Word was made flesh, and dwelt among us, (and we beheld his glory, the glory as of the only begotten of the Father,) full of grace and truth. 21And she shall bring forth a son, and thou shalt call his name JESUS: for he shall save his people from their sins. 11I, even I, am the LORD; and beside me there is no saviour. 6And ye shall keep it up until the fourteenth day of the same month: and the whole assembly of the congregation of Israel shall kill it in the evening. 7And they shall take of the blood, and strike it on the two side posts and on the upper door post of the houses, wherein they shall eat it. 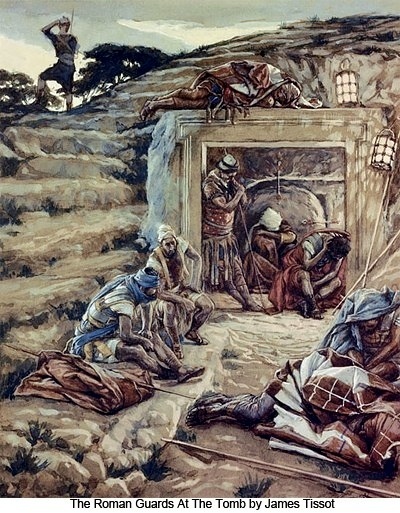 29And it came to pass, that at midnight the LORD smote all the firstborn in the land of Egypt, from the firstborn of Pharaoh that sat on his throne unto the firstborn of the captive that was in the dungeon; and all the firstborn of cattle. 30And Pharaoh rose up in the night, he, and all his servants, and all the Egyptians; and there was a great cry in Egypt; for there was not a house where there was not one dead. 15Now at that feast the governor was wont to release unto the people a prisoner, whom they would. 16And they had then a notable prisoner, called Barabbas. 17Therefore when they were gathered together, Pilate said unto them, Whom will ye that I release unto you? 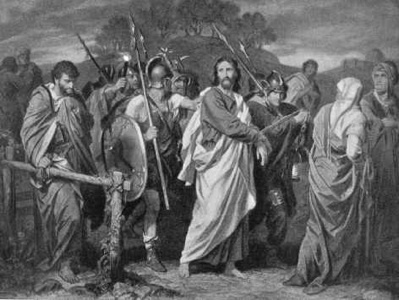 Barabbas, or Jesus which is called Christ? 18For he knew that for envy they had delivered him. 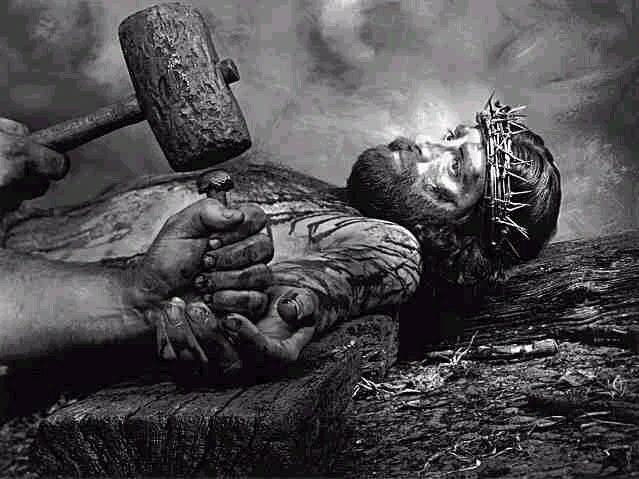 19When he was set down on the judgment seat, his wife sent unto him, saying, Have thou nothing to do with that just man: for I have suffered many things this day in a dream because of him. 20But the chief priests and elders persuaded the multitude that they should ask Barabbas, and destroy Jesus. 21The governor answered and said unto them, Whether of the twain will ye that I release unto you? They said, Barabbas. 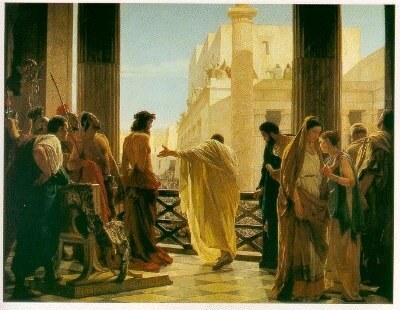 22Pilate saith unto them, What shall I do then with Jesus which is called Christ? They all say unto him, Let him be crucified. 23And the governor said, Why, what evil hath he done? But they cried out the more, saying, Let him be crucified. 24When Pilate saw that he could prevail nothing, but that rather a tumult was made, he took water, and washed his hands before the multitude, saying, I am innocent of the blood of this just person: see ye to it. 25Then answered all the people, and said, His blood be on us, and on our children. 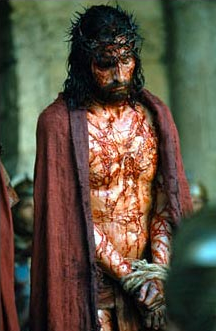 26Then released he Barabbas unto them: and when he had scourged Jesus, he delivered him to be crucified. 63Saying, Sir, we remember that that deceiver said, while he was yet alive, After three days I will rise again. 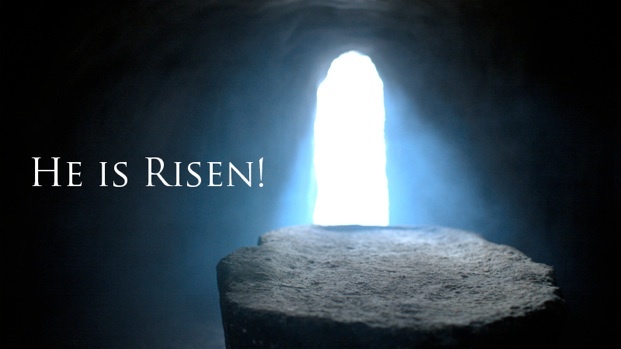 64Command therefore that the sepulchre be made sure until the third day, lest his disciples come by night, and steal him away, and say unto the people, He is risen from the dead: so the last error shall be worse than the first. 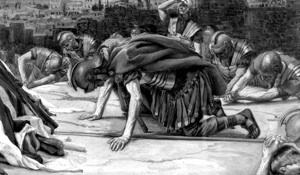 65Pilate said unto them, Ye have a watch: go your way, make it as sure as ye can. 66So they went, and made the sepulchre sure, sealing the stone, and setting a watch. 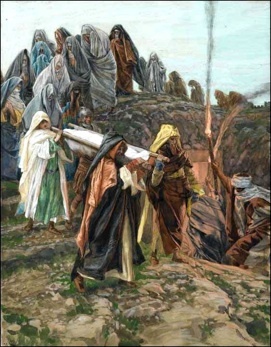 1In the end of the sabbath, as it began to dawn toward the first day of the week, came Mary Magdalene and the other Mary to see the sepulchre. 2And, behold, there was a great earthquake: for the angel of the Lord descended from heaven, and came and rolled back the stone from the door, and sat upon it. 4And for fear of him the keepers did shake, and became as dead men. 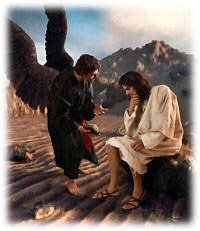 5And the angel answered and said unto the women, Fear not ye: for I know that ye seek Jesus, which was crucified. 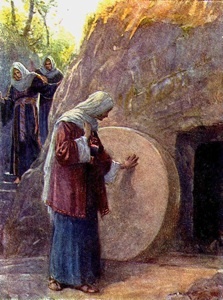 6He is not here: for he is risen, as he said. 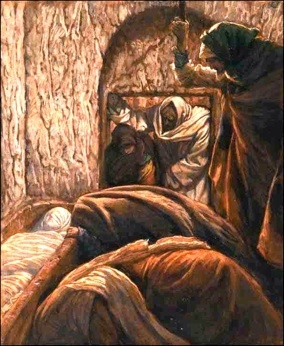 Come, see the place where the Lord lay. 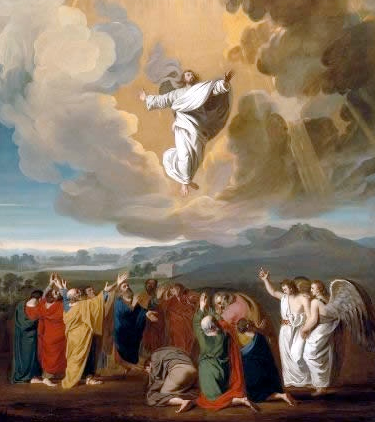 7And go quickly, and tell his disciples that he is risen from the dead; and, behold, he goeth before you into Galilee; there shall ye see him: lo, I have told you. 8And they departed quickly from the sepulchre with fear and great joy; and did run to bring his disciples word. 31But these are written, that ye might believe that Jesus is the Christ, the Son of God; and that believing ye might have life through his name. 44And he said unto them, These are the words which I spake unto you, while I was yet with you, that all things must be fulfilled, which were written in the law of Moses, and in the prophets, and in the psalms, concerning me. 47And that repentance and remission of sins should be preached in his name among all nations, beginning at Jerusalem. 48And ye are witnesses of these things. 49And, behold, I send the promise of my Father upon you: but tarry ye in the city of Jerusalem, until ye be endued with power from on high. 16For God so loved the world, that he gave his only begotten Son, that whosoever believeth in him should not perish, but have everlasting life. 8But ye shall receive power, after that the Holy Ghost is come upon you: and ye shall be witnesses unto me both in Jerusalem, and in all Judaea, and in Samaria, and unto the uttermost part of the earth. 9And when he had spoken these things, while they beheld, he was taken up; and a cloud received him out of their sight. 9That if thou shalt confess with thy mouth the Lord Jesus, and shalt believe in thine heart that God hath raised him from the dead, thou shalt be saved. 10For with the heart man believeth unto righteousness; and with the mouth confession is made unto salvation. 4And Jesus answered him, saying, It is written, That man shall not live by bread alone, but by every word of God. 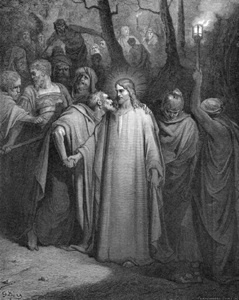 3He is despised and rejected of men; a man of sorrows, and acquainted with grief: and we hid as it were our faces from him; he was despised, and we esteemed him not. 4Surely he hath borne our griefs, and carried our sorrows: yet we did esteem him stricken, smitten of God, and afflicted. 19And shall deliver him to the Gentiles to mock, and to scourge, and to crucify him: and the third day he shall rise again. 7He was oppressed, and he was afflicted, yet he opened not his mouth: he is brought as a lamb to the slaughter, and as a sheep before her shearers is dumb, so he openeth not his mouth. 24Who his own self bare our sins in his own body on the tree, that we, being dead to sins, should live unto righteousness: by whose stripes ye were healed. 6Thus saith the LORD the King of Israel, and his redeemer the LORD of hosts; I am the first, and I am the last; and beside me there is no God. 20And we know that the Son of God is come, and hath given us an understanding, that we may know him that is true, and we are in him that is true, even in his Son Jesus Christ. This is the true God, and eternal life. 7For many deceivers are entered into the world, who confess not that Jesus Christ is come in the flesh. This is a deceiver and an antichrist. 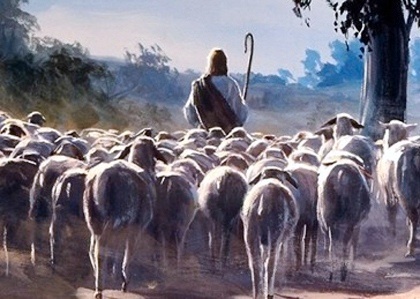 11I am the good shepherd: the good shepherd giveth his life for the sheep. 16And without controversy great is the mystery of godliness: God was manifest in the flesh, justified in the Spirit, seen of angels, preached unto the Gentiles, believed on in the world, received up into glory. 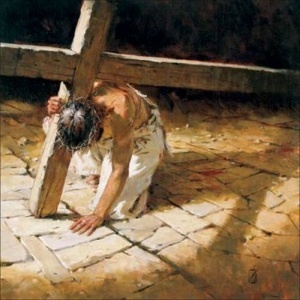 2Looking unto Jesus the author and finisher of our faith; who for the joy that was set before him endured the cross, despising the shame, and is set down at the right hand of the throne of God. 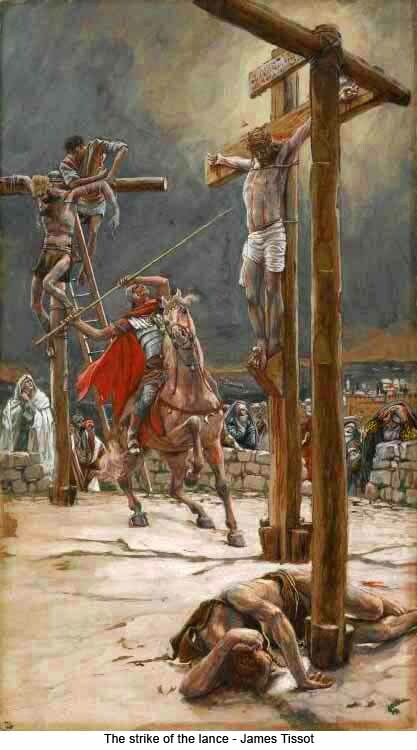 34But one of the soldiers with a spear pierced his side, and forthwith came there out blood and water. 35And he that saw it bare record, and his record is true: and he knoweth that he saith true, that ye might believe. 36For these things were done, that the scripture should be fulfilled, A bone of him shall not be broken. 54Now when the centurion, and they that were with him, watching Jesus, saw the earthquake, and those things that were done, they feared greatly, saying, Truly this was the Son of God. 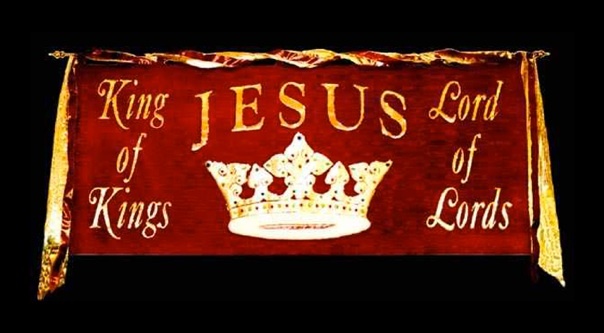 11And that every tongue should confess that Jesus Christ is Lord, to the glory of God the Father. 45Do not think that I will accuse you to the Father: there is one that accuseth you, even Moses, in whom ye trust. 46For had ye believed Moses, ye would have believed me; for he wrote of me. 47But if ye believe not his writings, how shall ye believe my words? 37And the Father himself, which hath sent me, hath borne witness of me. Ye have neither heard his voice at any time, nor seen his shape. 38And ye have not his word abiding in you: for whom he hath sent, him ye believe not. 39Search the scriptures; for in them ye think ye have eternal life: and they are they which testify of me. 57Then said the Jews unto him, Thou art not yet fifty years old, and hast thou seen Abraham? 58Jesus said unto them, Verily, verily, I say unto you, Before Abraham was, I am. 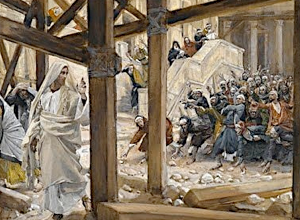 59Then took they up stones to cast at him: but Jesus hid himself, and went out of the temple, going through the midst of them, and so passed by. 10Yet it pleased the LORD to bruise him; he hath put him to grief: when thou shalt make his soul an offering for sin, he shall see his seed, he shall prolong his days, and the pleasure of the LORD shall prosper in his hand. 46In one house shall it be eaten; thou shalt not carry forth ought of the flesh abroad out of the house; neither shall ye break a bone thereof. Our Lord and Savior was betrayed by one of His disciples, which He already new before hand. He gave Himself up when they came for Him. He was rushed into a court late at night. Envied and hated by the chief priests, they accused Him of blasphemy. They spat on His face, and slapped Him. 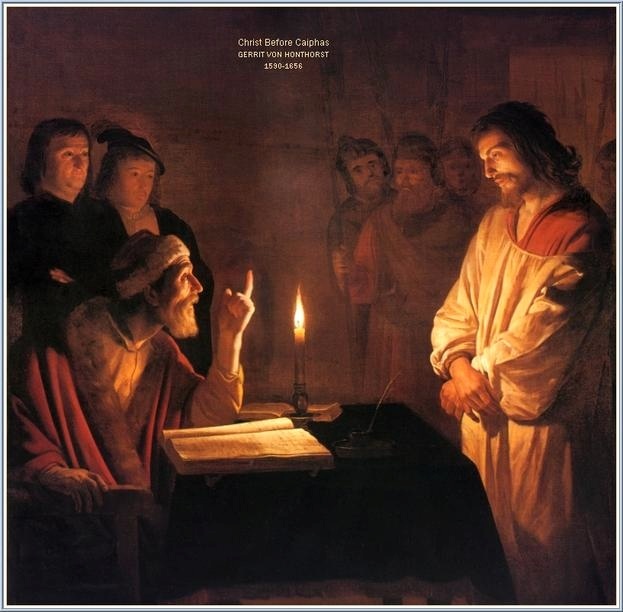 Handed over to Pontius Pilate who found nothing wrong in Jesus. Pilot left it up to the people to decide between Barabbas (a criminal) and Jesus. 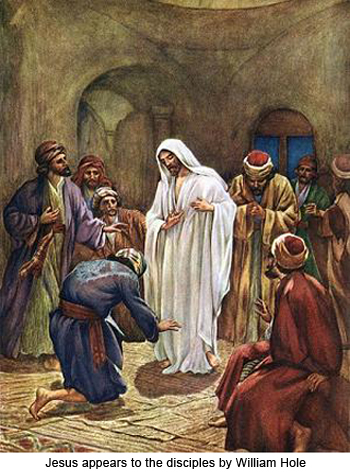 The chief priests urged the crowd to pick Barabbas. The crowd chose Barrabas. 27Then the soldiers of the governor took Jesus into the common hall, and gathered unto him the whole band of soldiers. 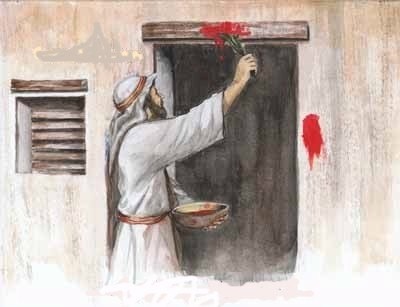 28And they stripped him, and put on him a scarlet robe. 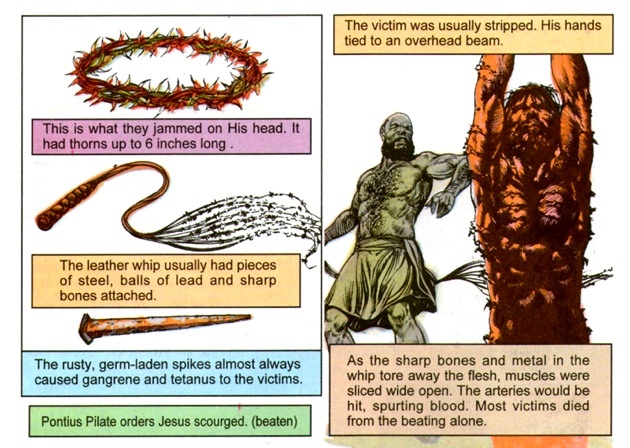 29And when they had platted a crown of thorns, they put it upon his head, and a reed in his right hand: and they bowed the knee before him, and mocked him, saying, Hail, King of the Jews! 30And they spit upon him, and took the reed, and smote him on the head. 31And after that they had mocked him, they took the robe off from him, and put his own raiment on him, and led him away to crucify him. 6I gave my back to the smiters, and my cheeks to them that plucked off the hair: I hid not my face from shame and spitting. 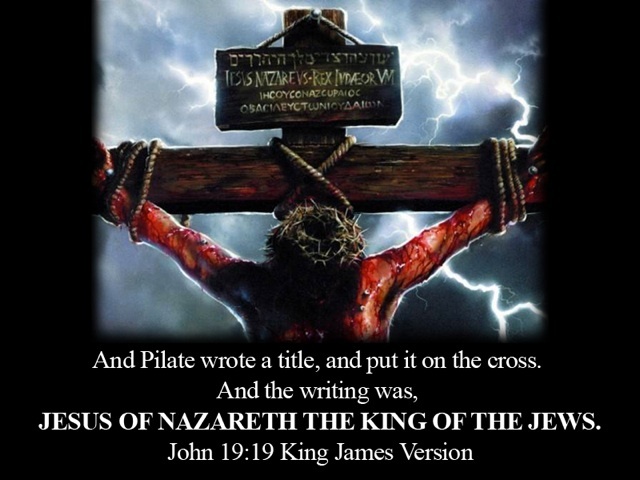 13And he was clothed with a vesture dipped in blood: and his name is called The Word of God. 1In the beginning was the Word, and the Word was with God, and the Word was God. 2The same was in the beginning with God. 3All things were made by him; and without him was not any thing made that was made. 26But ye believe not, because ye are not of my sheep, as I said unto you. 28And I give unto them eternal life; and they shall never perish, neither shall any man pluck them out of my hand. 29My Father, which gave them me, is greater than all; and no man is able to pluck them out of my Father's hand. 30I and my Father are one. 10He was in the world, and the world was made by him, and the world knew him not. 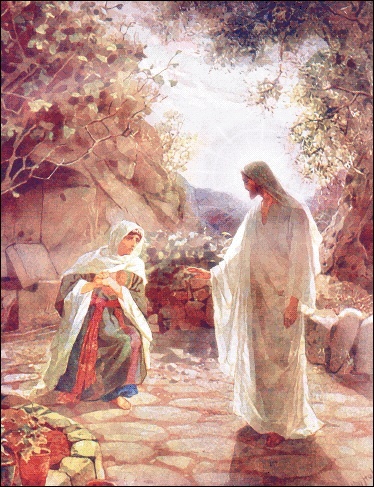 11He came unto his own, and his own received him not. 13Which were born, not of blood, nor of the will of the flesh, nor of the will of man, but of God. 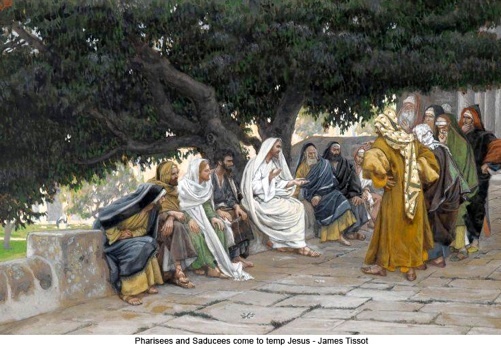 16And he came to Nazareth, where he had been brought up: and, as his custom was, he went into the synagogue on the sabbath day, and stood up for to read. 19To preach the acceptable year of the Lord. 20And he closed the book, and he gave it again to the minister, and sat down. And the eyes of all them that were in the synagogue were fastened on him. 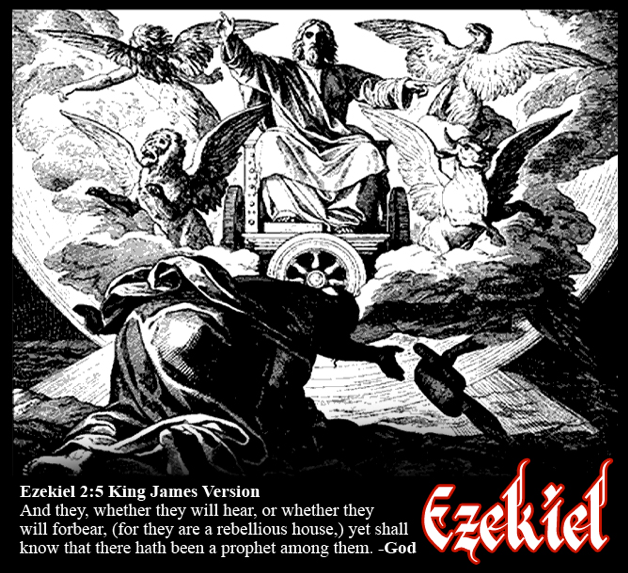 21And he began to say unto them, This day is this scripture fulfilled in your ears. 29And rose up, and thrust him out of the city, and led him unto the brow of the hill whereon their city was built, that they might cast him down headlong. 5But he was wounded for our transgressions, he was bruised for our iniquities: the chastisement of our peace was upon him; and with his stripes we are healed. This topic on The Lord’s name has had some controversy, and I have been looking into it some more. First of all I’m not an expert in ancient tongues and I do not own copies of ancient manuscripts. This study is based off information that I can find from the encyclopedia, commentaries by pastors and my KJV Study Bible. 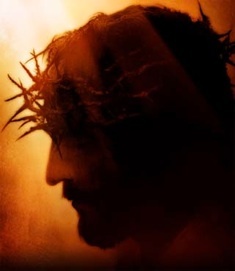 The controversy is as follows; There are some who say that JESUS is not the name of the Son of God, but Yeshua. 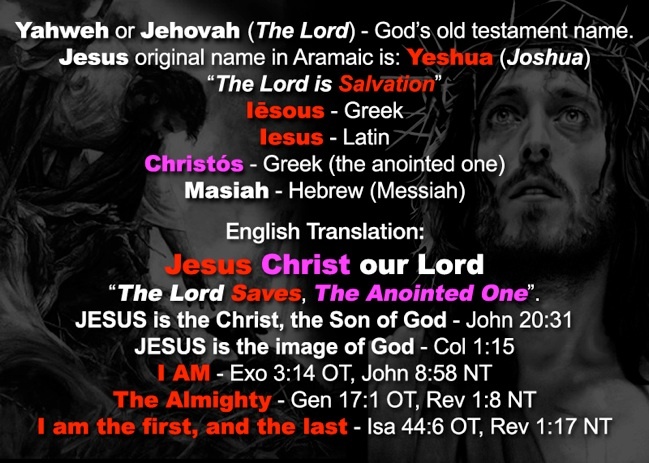 According to the encyclopedia Yeshua (Joshua) is Jesus’ name in Aramaic (Hebrew). There are also numerous variations to this Hebrew name, and it can get real confusing. We received a comment saying “that the name Jesus is wrong, that it’s really Yahuwshua”. Is this your belief? 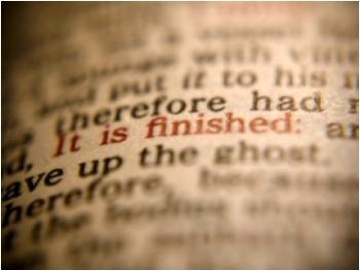 Before you go and put down or doubt the name of JESUS you need to consider that the NEW TESTAMENT was written in GREEK. The Apostles wrote down Iêsous Christos in GREEK, and in LATIN it’s Iesus. The final English translation is Jesus Christ our Lord and nuestro Señor Jesucristo en Español, tambien Jesús es el Cristo as it appears in the Spanish Reina-Valera Antigua. English and Spanish are my two languages, not GREEK and HEBREW. God knows this and has Authorized and blessed his word for us to use in these times. I trust his word, and JESUS is the correct translation of The Lord’s name. 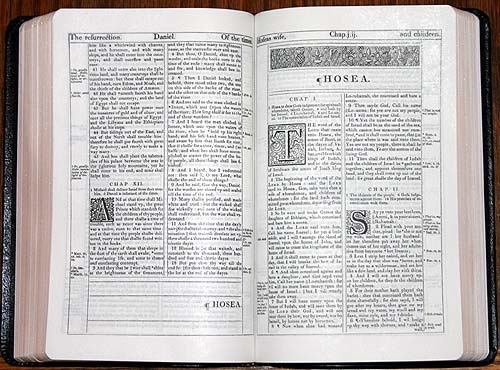 In fact every name in the Bible is translated. Research every name and you’ll see it is spelled and pronounced differently from the original tongue. Nowhere in scripture did JESUS give the command or doctrine to teach people to speak Hebrew, nor is it a requirement to say his name in hebrew to be saved. I’m not denying the original name of JESUS is Yeshua, but this cult movement that is denying the English translation of JESUS is mistaken at best, and lying at worst, causing confusion. There’s also CHRIST, and only one Christ. Many of the verses in the Bible just say CHRIST, (the Anointed One). In Matt 24:24 Jesus warns us about false CHRISTS, and false prophets. In Acts 11:26 they were called Christians, after Christ. The early Christians were given the gift of tongues when they received the Holy Spirit. This gift wasn’t merely for show and tell. God had a purpose for aiding them with the ability to speak in a foreign tongue. For when the persecution came and these Christians had to relocate going out into the world. They were able to preach the gospel without having to go to school, or taking language classes, God already took care of that problem in advance; Acts 1:8, Acts 2:8. In conclusion, we can trust God; Psalm 18:30, and his promise to preserve his word for us forever; Psalm 12:6-7, Mark 13:31. We can trust The Authorized KJV is the Sword of the Spirit; Eph 6:17, and the correct English Translation. We can call on the only begotten Son of God, JESUS CHRIST with faith and confidence that he hears us and will save us; Rom 10:13. 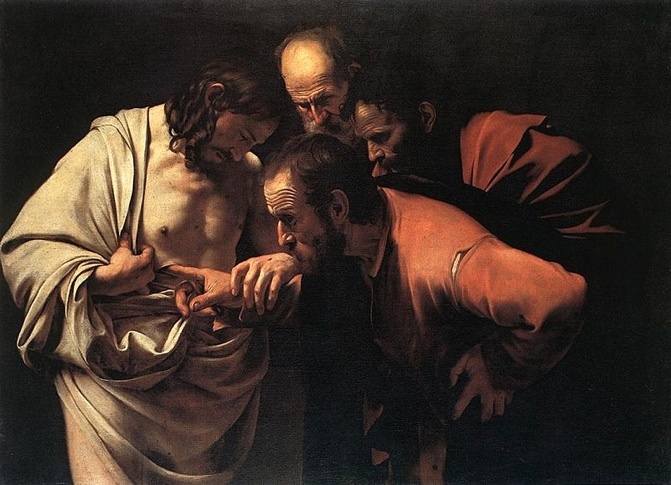 27Then saith he to Thomas, Reach hither thy finger, and behold my hands; and reach hither thy hand, and thrust it into my side: and be not faithless, but believing. 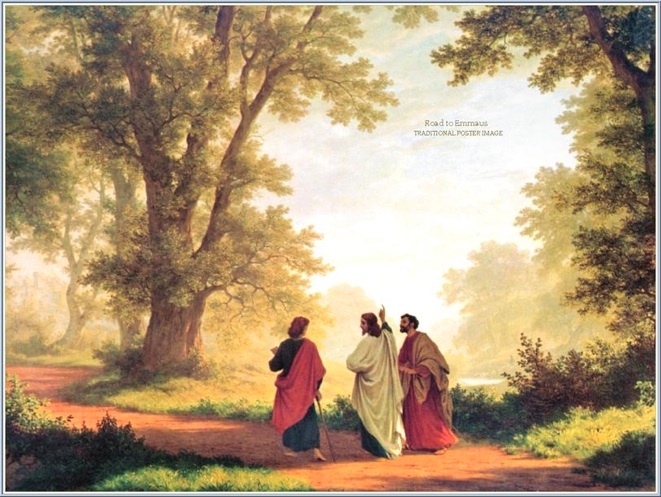 28And Thomas answered and said unto him, My LORD and my God. 29Jesus saith unto him, Thomas, because thou hast seen me, thou hast believed: blessed are they that have not seen, and yet have believed. 3 But I fear, lest by any means, as the serpent beguiled Eve through his subtilty, so your minds should be corrupted from the simplicity that is in Christ. 31 But these are written, that ye might believe that Jesus is the Christ, the Son of God; and that believing ye might have life through his name. Here are a few examples of Biblical names and how they have been translated into English. If the name of JESUS is incorrect then every name in the Bible is incorrect and we would all have to learn and speak Hebrew to be saved? That is simply not the case. Nothing in the Bible supports such a doctrine.